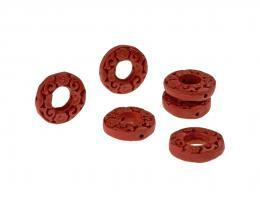 1 Chinese Red Lacquered Carved Ring Beads 17.5mm. 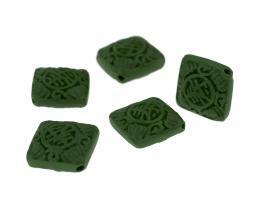 1 Chinese Emerald Green Lacquered Carved Diamond Beads 15mm. 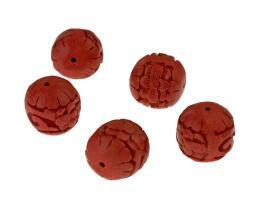 1 Chinese Red Lacquered Carved Barrel Beads 14mm.